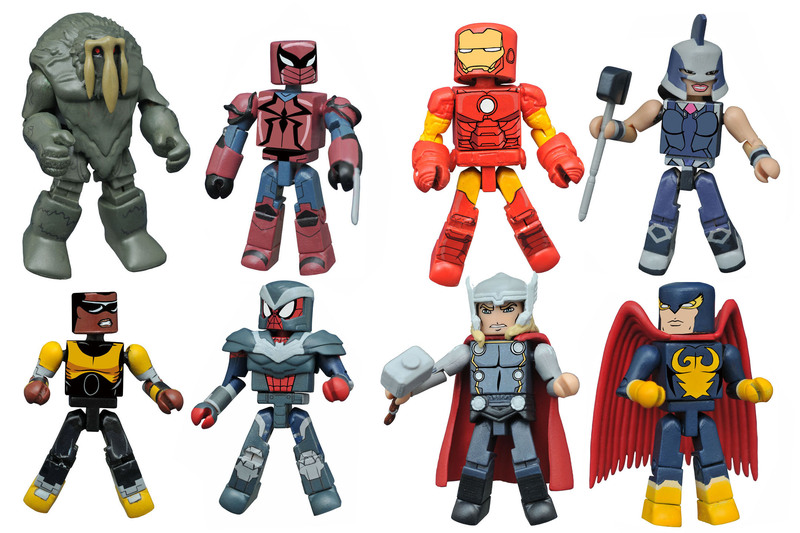 Ask DST is back, and Diamond Select Toys president DSTChuck is tackling one of our most popular topics – Marvel Select action figures! Between people wondering how we choose our releases, and people wondering who is next in the long-running line (15 years! ), there are plenty of questions for DSTChuck to answer. 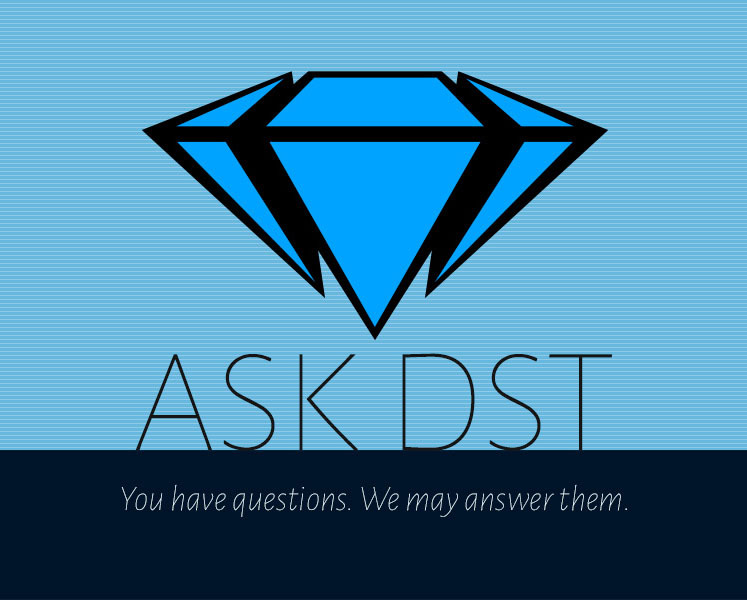 If your question is not answered, submit it in the drop-down form up top, or e-mail DSTChuck! 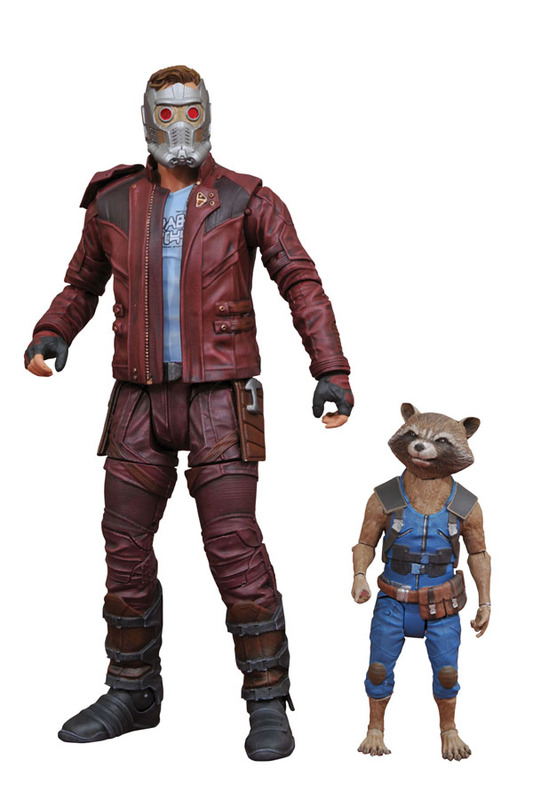 What are the expected release dates for the Guardians of the Galaxy Vol 2 Select figures? 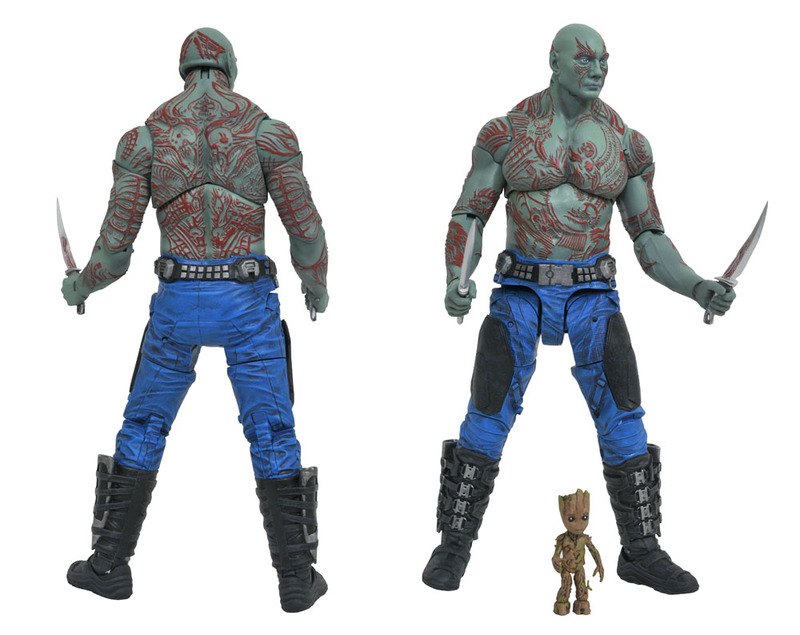 When might we get our first look at Drax, Rocket and Baby Groot? DSTChuck: We expect to have them in stores late Summer. You can see the full figures below! Hey DST, love the Marvel Selects. Keep up the good work, they are my go to Marvel figures. I have a couple questions. 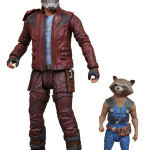 1 With the known licensing that you can only release a certain amount of figures from the MCU films does the Guardians movie sets count as double since you have 2 characters in each, or does that just count as 1 release each? 2 Any locked down plans of how many figures are getting released from the other films and does Netflix Daredevil count as part of that quota? Thor looks like it’ll have a lot of options for you to make. 3 As much as I love the heroes, can you make a few more villains? Would be great comic or otherwise. Cheers keep up the good work!! DSTChuck: Two figures in one package count as one release. Yes, Netflix and movies releases “count.” There is SO much content right now with movie, TV and comic books we are not sure how we will handle 2018. We do try to mix in villains, but you are correct there are so many heroes folks love. With the upcoming Thor movie apparently having something to do with the Planet Hulk storyline. 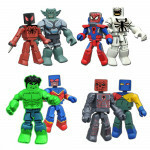 What are our chances for getting a Marvel Select Planet Hulk figure? I’d absolutely love it! Here is a product I want to see made: Squadron Supreme 4.5″action figure two-packs featuring the following characters, as seen in the comic books and on Marvel’s Avengers Assemble: Hyperion, Doctor Spectrum, The Whizzer, Power Princess and Nighthawk. 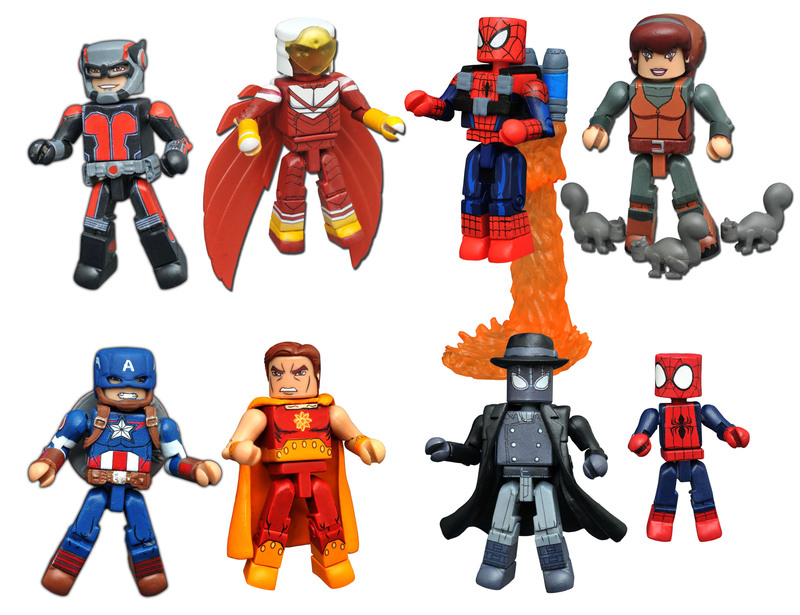 Also, a 4.5″action figure line featuring the golden age marvel/timely characters. Will that ever happen any time soon? DSTChuck: I am sorry, but we have no plans to do any figures at the 4.5” size. 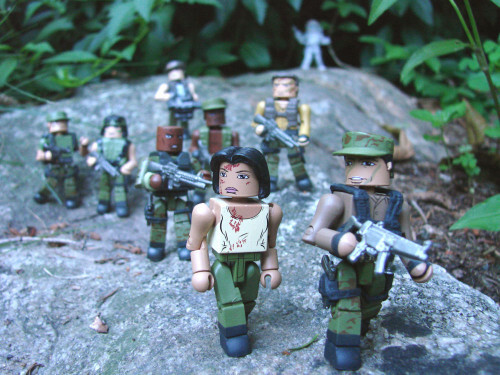 But we have made the entire Squadron in 2” Minimates mini-figure form, at Walgreens! I really like the look of your upcoming Spider-Man Homecoming figure, and was wondering if there were plans for a Marvel Select Vulture figure from the Spider-Man Homecoming film? 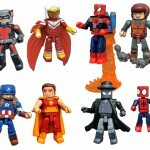 Also, I was wondering if there were plans for any Jim Lee styled Marvel Select X-Men figures? Most especially of Cyclops, Storm, Psylocke, and Jubilee. Speaking of Jubilee, any Jubilee figure would be great. Though most especially her classic look. DSTChuck: There are no plans at this time for a Vulture Select figure. I do think at some point we’d like to do more X-Men Select figures from that time period. Any info about a Cinematic Version of Thanos? 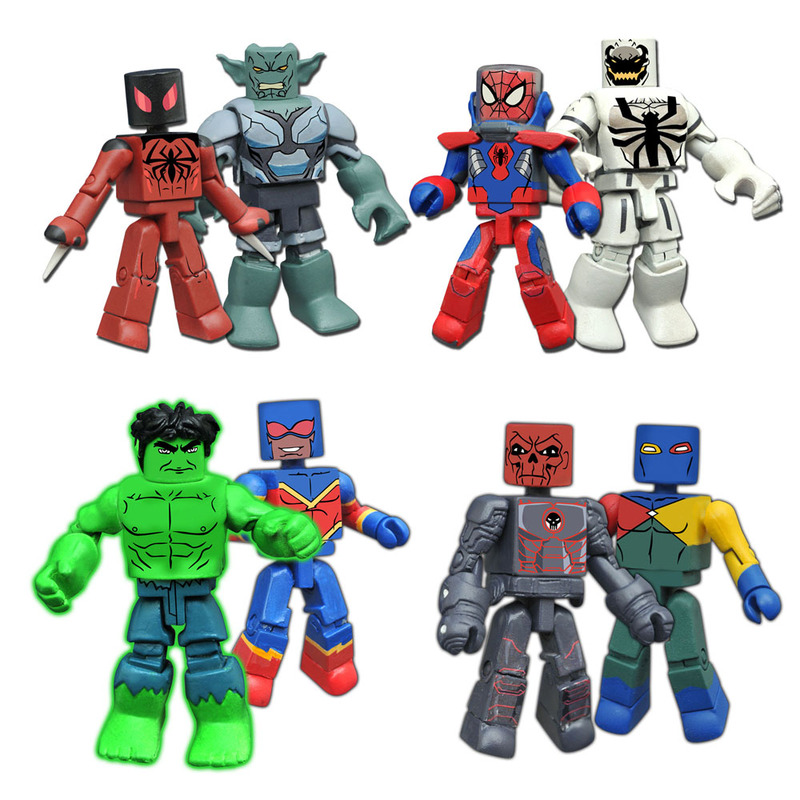 In the Marvel Select series? DSTChuck: We have not started to make our plans for 2018 yet, and we do not have any reference yet from Avengers: Infinity War, so we’ll see. You guys are amazing! 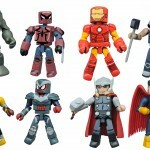 I just bought a huge lot from disneystore.com: Spectacular Spiderman, Agent Venom, Winter Soldier, Doctor Strange, and the entire set of Guardians of the Galaxy! I’ve got to say the paint and sculpt works on these figures have definitely been drastically improving! Recently on Marvel’s Agents of Shield we were introduced to the Inhumans. Any chance of releasing any of those figures either in comic form or TV show form? Is there any chance of a newly sculpted Ghost Rider coming (comic or TV show version)? And last but not least, will the Disney Store exclusive “The Mighty Thor” be released anytime soon? That is one of the best Thor figures out there but the price for it on secondary markets is not realistic. Thanks Chuck and keep up the fantastic and extraordinary work you guys do at Diamond Select Toys! DSTChuck: Glad you like them! As I said earlier, none of 2018 is planned out yet. We have talked from time to time about Agents of SHIELD, but they are not in the plans right now. I do think Disney is going to order more Thor figures – they said they would last time we checked with them, so hopefully soon. I just pre-ordered Netflix Select Daredevil! I am excited! He looks awesome! 1. 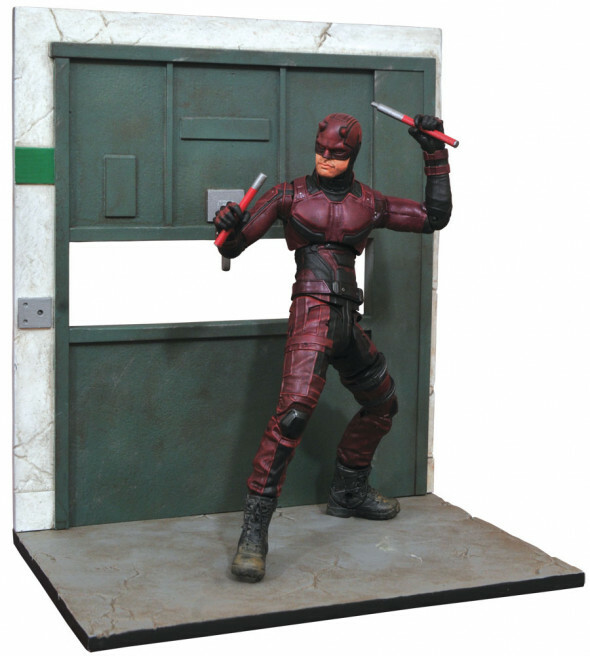 He is still going to come with the interchangeable Matt Murdock head that we saw at Toy Fair? 2. Is this going to be the only Netflix select or are y’all hopeful there might be more to come? 3. Is there a chance we will see some of the other Defenders in their comic book forms? 1. He is not going to have a change-o-head. Just the Season 2 mask seen below. 2. We would LOVE to do more, time will tell. We’ve doing as many as we can in the gallery line right now. 3. We are not looking at comic-based Defenders at this time. Hello, I have a couple of questions for you. 1. I understand that you cannot be specific with future figure reveals (plus you all probably haven’t made these decisions yet either), but I am curious about your decision-making process. With the upcoming Avengers movies in 2018 and 2019, this will provide a potential opportunity for more figures than usual. Being that there will be so many characters in these films, can you tell us what would be more likely – making figures of characters that have now been around for a while who will be appearing in the movie (but haven’t had a figure made yet)…or new characters that may be debuting in the films? 2. Also, what goes into the decision-making process in determining the amount of characters that will be released for a particular movie? Thanks ahead for your responses. You guys do great work and are by far my favorite line. Keep up the great work. DSTChuck: You are right, it’s too early to say. While we would be tempted to focus on the big characters including some that we have done before, I do think we will try to use this opportunity to do some characters in the movies we have not done before. We can never do all the characters from the movies, or we’d never be able to do any comic figures, so we try to do just a selection of them based on the early script treatments we see. Still got question? Submit it in the drop-down form up top or e-mail DSTChuck! Next Up: In Stores Now: Watchmen, Predator and Forbidden Planet!